In 1977, while living at home and working fulltime, I was entrusted to help a friend screen people to share a rental home with her. We posted an ad in the paper and at the student union building. We sorted through the many applicants, chiseling it down to the four we thought would best fit. It was a roomy house, not far from campus, that was in really decent condition. A coffee meet was planned at a nearby restaurant. We got there early, and waited patiently for the chosen four to arrive. No Facebook to check them out on, so we didn’t even know what they looked like. I suppose we had beacons on our heads, because they all came straight to our table. It was the easiest gathering of unknowns that I’ve ever been part of. We ended up sitting and talking for close to three hours. At the end of it, we had 3 women and a man that would be sharing the rent & the home. As it turned out, all six of us were born within four weeks of each other. Although I was still living at home (my equestrian pursuits put enough strain on my coffers that I had to stay at home or give up my training), these people would become so important in our lives for the next few years. The first Thanksgiving in the new house, was epic. Everyone had to bring two guests, so we had 18 people for dinner. My girlfriend and I cooked the turkey nestled in root vegetables, and everything else was potluck and unplanned. I’m sure there were a couple of side dishes, but all I really remember was that somehow 8 pumpkin pies arrived. All home baked, and all very different. Of course we all needed to try a piece of each! 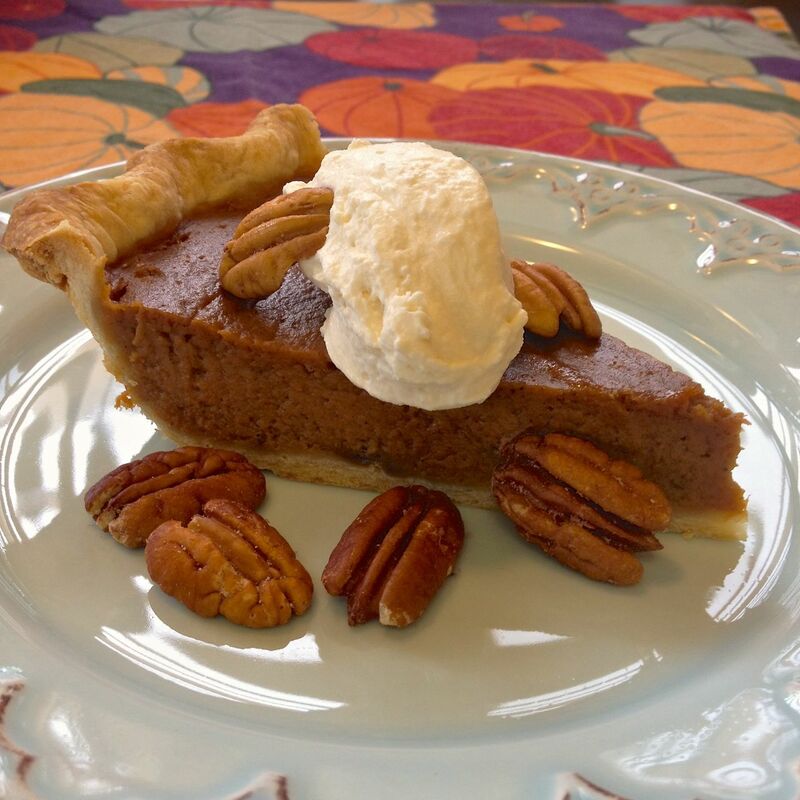 Another realization for me – I’m a purist when it comes to pumpkin pie. Do not put raisins in a pumpkin pie. Do not put a crumble on top of a pumpkin pie. Just give me creamy pumpkin custard with un-muddled spice baked in basic pastry with a bit of cream on the side. The two years that I spent closely knitted with Trutch house taught me so much, from singing with complete abandon, to doing our own SNL versions, and to those long post midnight hours, sitting with tea and figuring out the world with other perspectives. And the fact that I do love pumpkin pie. Mom used to make a cheese noodle pie that was so incredibly good, but when looked at through today’s lenses, makes me think that perhaps it was a little too good, too much starch, and too much fat. 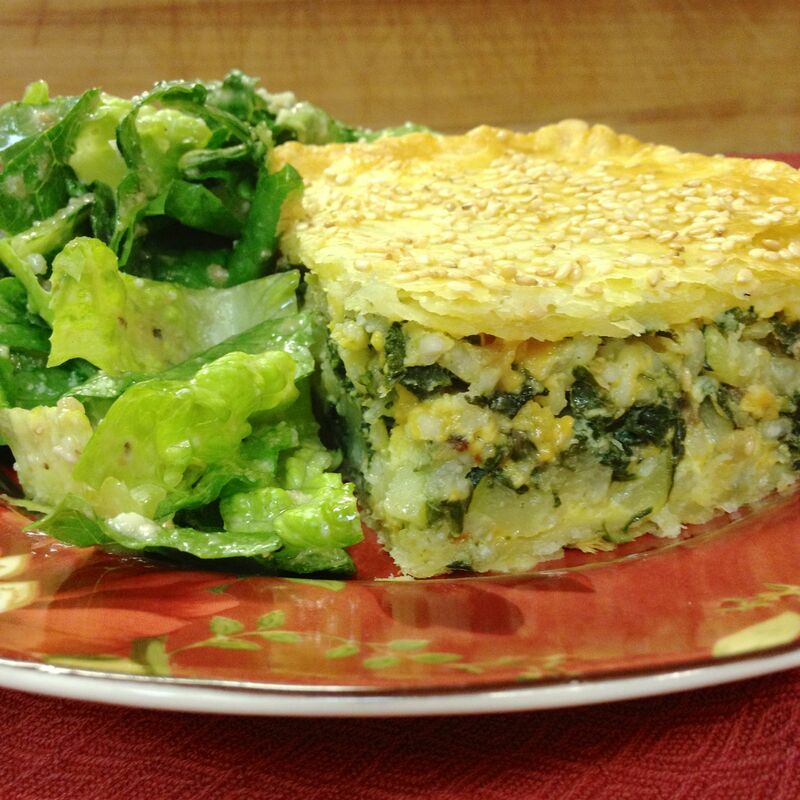 It was a great pie to take along to a potluck, a lunch en route, or for a weekend family dinner. This recipe appeals to me for exactly the reasons that I loved Mom’s pie. Everything is in it, just add a salad or some raw vegetables, and we’re good to go. We have six apple trees. Some are more suited to this climate than others. We usually get a good crops of Jonathans, Bramleys (my favourite) and Transparents. There’s a young standard McIntosh that gives us a few apples to eat right off the tree, and a Cox’s Orange Pippin that graces us with a few beautiful apples each fall. We also have an incredibly prolific Gala tree, that really doesn’t like our wet springs. Some grow into perfect specimens, but mostly they go to the livestock. There are years that we have hundreds of pounds of apples. We store them covered with feed sacks, and usually they are still good for using in the early spring. I try to get the transparents into sauce and pies quickly as they are ready at the start of August and only last a few days before getting mushy. The rest keep beautifully. Consequently, I don’t need to cook them up right away. 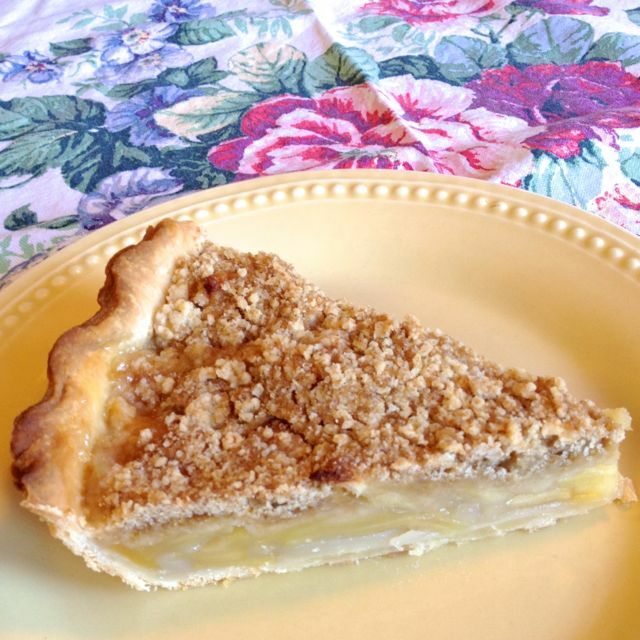 We still can have our own fresh apple pies in mid-winter. Always a treat! 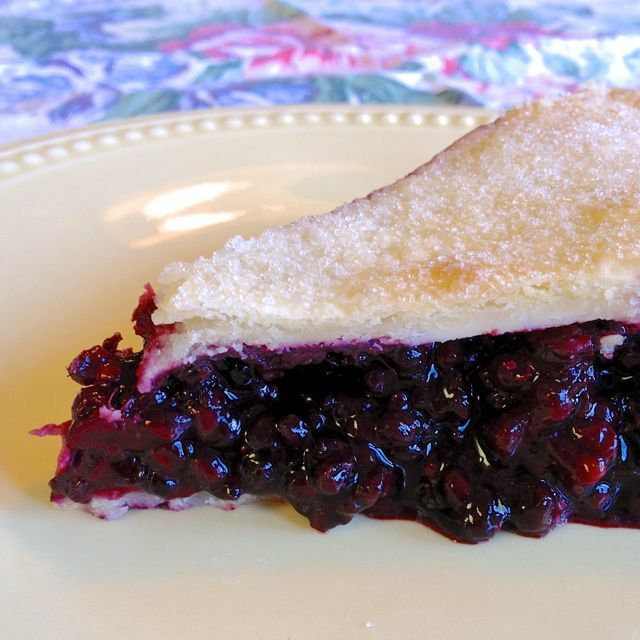 The best blackberry pie is one made from berries you have spent time picking. Choosing all the ones that are just right, and leaving the others for another day, or for the birds. You may get a scratch or two, but it is so worth the pain. We use sticks with hooks on the ends for grabbing the long vines that are out of reach but laden with heavy purple fruit. When we built our house, we left a clump of Himalayan blackberries in the dog yard, for easy picking. In planning our chicken runs, we ran double fences with a 2’ no-man’s-land strip, which the blackberries have filled. Easy picking from two sides. Although there are lots more on the property, these two areas quickly provide a pie’s worth of berries in about 15 minutes. Dried fruit is usually tucked to the back of the pantry through the summer months, while we make use of the fresh fruits available. As the leaves change colour, they slowly they sneak their way forward to the front of the shelf, to be tucked into salads, cookies and loaves. 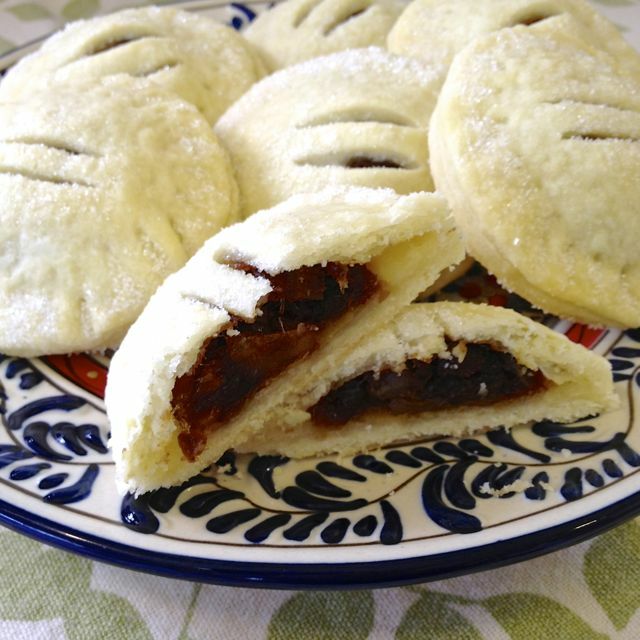 These little pastries, Cumberland Rum Nickies, are filled with dates and ginger and are one of our favourite treats to greet fall with. Friends brought the original recipe home to me after travelling in Cumberland on the northwest coast of England years ago. I must admit, I was intrigued by the name, and once a batch was made, they firmly seated themselves into my favourites. Perhaps they appealed to my heritage.